To become a CNA, you must enroll in college courses and take a certification exam. If you do not have the money for college, you may be wondering how you can take courses for free. Fortunately, there are a number of ways you can obtain free CNA training. A career in healthcare is rewarding; you can make a comfortable living while providing care for those in need. Healthcare is also one of the few industries that offer consistent demand, stability, and generous salaries. However, many may find gaining entry into this field a daunting task. Many careers in the healthcare field have lengthy educational requirements, and in today’s fast-paced world, it is difficult to find the time to fit school into your life. A perfect way to eliminate some of these barriers is to start your career as a CNA or Certified Nursing Assistant. CNAs are an integral part of the healthcare team working alongside doctors and nurses, providing direct patient care. To become certified to work as a CNA you will need to enroll in a training program and sit for your state board certification exam. Beginning a career as a CNA is a relatively quick and straightforward process. The first step is to find a CNA training course. Training typically can last anywhere from four to twelve weeks and consist of both classroom and hands-on clinical training. 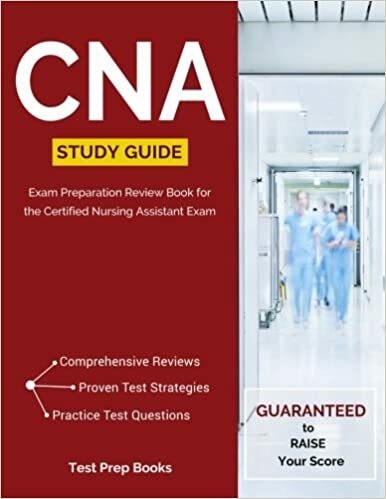 Once you have completed the required course hours, you can sit for the CNA certification examination; the exam includes a written and practical test. Once you pass your certification exam, you are basically free to begin your career as a certified nursing assistant. Where Can You Receive Free CNA Training? Many nursing assistant courses are offered through community colleges, vocational schools, and medical care facilities, such as nursing homes and hospitals. Community colleges and vocational schools are a great place to receive your CNA education as well, but they are usually costly. Tuition for these courses can cost hundreds or even thousands of dollars. Some of these programs offer financial assistance in the way of loans, but who wants to go into debt when there are other options? Fortunately, some hospitals and nursing homes offer free CNA training. Along with being free of charge, training through a hospital or nursing home usually comes with guaranteed employment with the facility that provides your training. Who wouldn’t want free training and secured employment upon completion? The question you might be asking is “How are healthcare facilities able to offer these courses free of charge?” The answer is that many of these programs receive funding from the state government. How do you go about finding out which hospitals provide free CNA training? Many people find out about these free opportunities through word of mouth, from someone they know who work at that particular facility. You can also find out about these classes through a hospital or nursing home websites, or by searching online using a tool like our state by state free CNA training listings. If you are not able to find any information online a simple phone call to the hospital or nursing home human resources office will likely provide you with all the information you need. The training you receive from a hospital is very comparable to training offered through a school. They both offer some classroom instructions and hands-on clinical experience. Besides the obvious advantage of the training being free, there are many pros to receiving free training from a healthcare facility over other options such as a community college, what exactly are these advantages? Guaranteed Employment: After completing CNA training and passing certification, the next step is job searching, which no one likes to do. You could eliminate the formidable task of looking for your new CNA job if your training was completed at a hospital or nursing home because they will employ you. When you agree to accept the free training, you also agree to work for that facility for a specified period of time. Paid Training: Some hospital and nursing homes, actually pay you while they train you to become a nursing assistant. Yes, you heard that correctly, paid training is offered at many facilities because even as a student you are incredibly valuable to the hospital, this is a win-win situation for everyone involved. The facility receives new workers trained specifically for their facility’s requirements, and you receive training, employment, and compensation. Networking: The training classes are usually held at the hospital or nursing home that is offering the course. Throughout the weeks that you are training, you will be able to work with other healthcare professionals. You will be able to form relationships with other healthcare professionals who can make great mentors and can guide you in the right direction throughout your career in healthcare, particularly if you want to progress to a career as an RN or an LPN. Practical Hands-on Experience: CNA training through a community college or vocational school offers clinical experience because it is needed to pass the practical part of your board exam. Training through a hospital provides clinical experience as well, but you tend to have more opportunity for practicing patient care, as you will be training in a hospital setting compared to a classroom at a school. Potential Downside to Free CNA Training: There is no doubt that the pros of receiving free CNA training from a hospital are plentiful, but what are some of the potential cons? If you sign a contract to receive free training in exchange for say a year of working at a facility after training and you leave without fulfilling the requirement, there can be financial consequences. You may have to pay back the facility for the training if you do not comply with your contract. Overall, hospitals and nursing homes that offer CNA training are a great way to enter into the healthcare field. Receiving training from a healthcare facility opens up many opportunities for you. While many people opt for free CNA training at a senior care center or a hospital, many states offer several other options as well. The American Red Cross offers free nursing assistant programs in certain parts of the country. If you are lucky enough to live in an area where this training is provided, you can take advantage of it for at no charge. Some locations do charge for CNA training but make grants available to those with little or no income. You could still be responsible for the cost of uniforms and related items such as a wristwatch with a second hand. You can visit their website to learn more. Many job training centers will also make free CNA training available to certain individuals. To see if classes are available, check with your local unemployment office or job placement center. If there are no free classes being offered, you could be eligible for discounted tuition or a scholarship to help you cover the costs. Job Corps is a program for individuals age 16 to 24 who are interested in learning a trade. They offer no-cost tuition in addition to room and board at a Job Corps training facility. Some centers will even help you obtain certification once you have completed your program. Assistance with job placement is provided all graduates as well. All of these are good options; however, not everyone is able to take advantage of them. In the event that none of these fit your needs, your best bet would be to look for classes at a local community college or through an accredited online school. You can have a lifelong career as a certified nursing assistant, or you can use your experience as a stepping stone to other careers in the healthcare industry. Whatever your path may be, embarking on a job as a certified nursing assistant will lead to a gratifying career.